Halloween is behind us and I already have visions of sugar plums swirling through my head! Yes, with granddaughters at home this year I have decided that a lot of my holiday decorations are going to be candy and gingerbread themed. My tree is going to be something other than the candy theme, but I will wait to share that surprise! How about Thanksgiving? Will you be hosting this year? lI am looking forward to a houseful for both Thanksgiving and Christmas! I don’t usually share many recipes, but I might be sharing a few of those this winter, too! 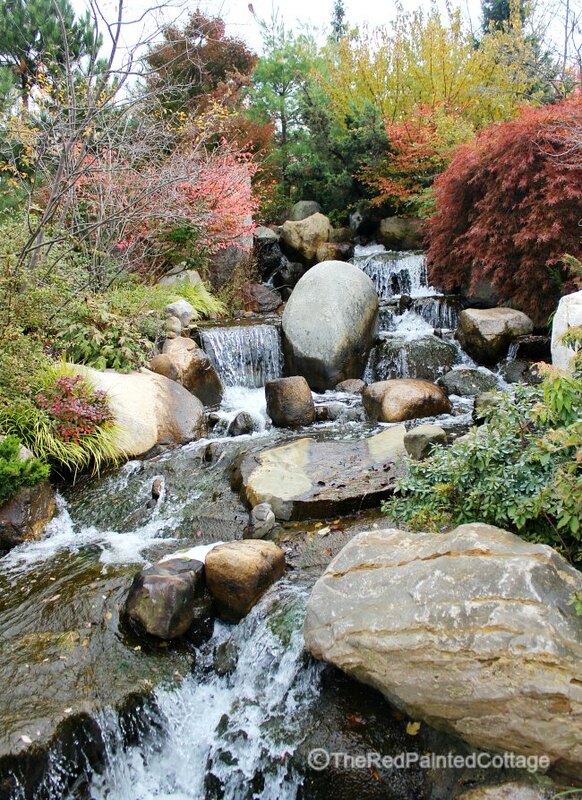 My pick to feature this week is Fall at the Frederik Meijer Gardens from The Red Painted Cottage. I think because we don’t get much fall color here in Florida, this lovely tour of gorgeous fall gardens. If you need a little more fall, head on over and take a tour with Carol. 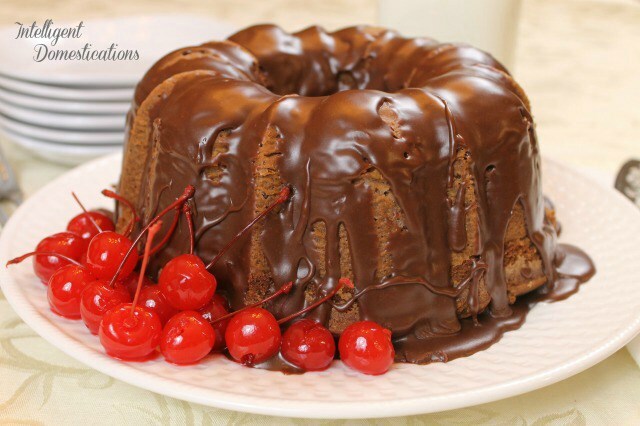 Sandra lost out on the battle to feature Marilyn’s apple fritters, and the winner is this Chocolate Pound Cake Recipe from Intelligent Domestications. This is a winner, for sure! Marilyn’s Best Homemade Apple Fritters were such a popular link that Kari and Sandra both wanted to feature it. I have to agree, these look amazing, and I am sure are delicious! Check out Marilyn’s Treats for her recipe! 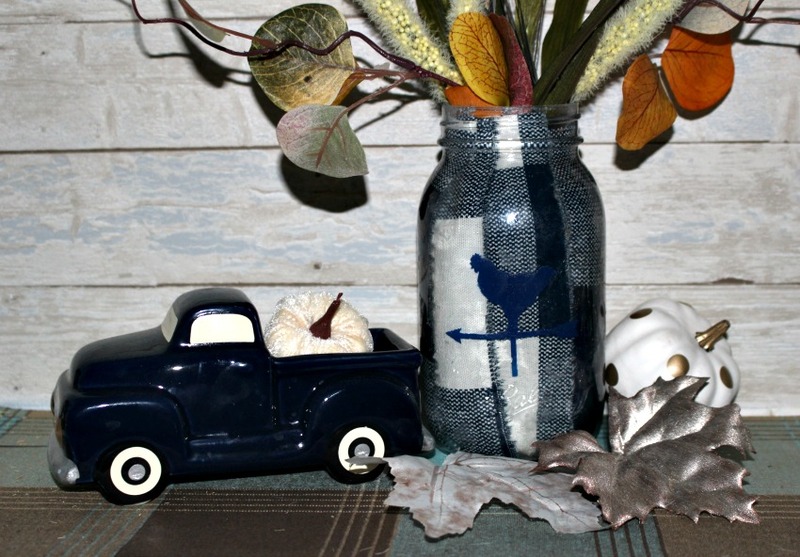 The most clicked link this last week was Michelle’s Make a Buffalo Check Mason Jar link up! Buffalo check is so popular these days, especially at Christmastime. Our Crafty Mom will show you the easy steps to create your own! Thanks so much for hosting, Chloe. Yes, I will be hosting Thanksgiving and Christmas. Have a wonderful week! thank you Chloe! and thank you for your ever organizing blog hop self! The schedule for the Thanksgiving hop looks great! You will have a ball with your grands around for the holidays, candy and gingerbread themes will be perfect to delight them! Thank you Chloe for co-hosting the 153rd Celebrate Your Story. Always appreciated. Chloe, thank you for hosting us. We will be guests with family at Thanksgiving, but we also like running away on this holiday. I’d love a spontaneous getaway! Thanks for the party, Chloe. I’ll be hosting Thanksgiving and I’m getting my list of to do things all planned out. I’m doing lots of Christmas crafting already, but no decorating yet. 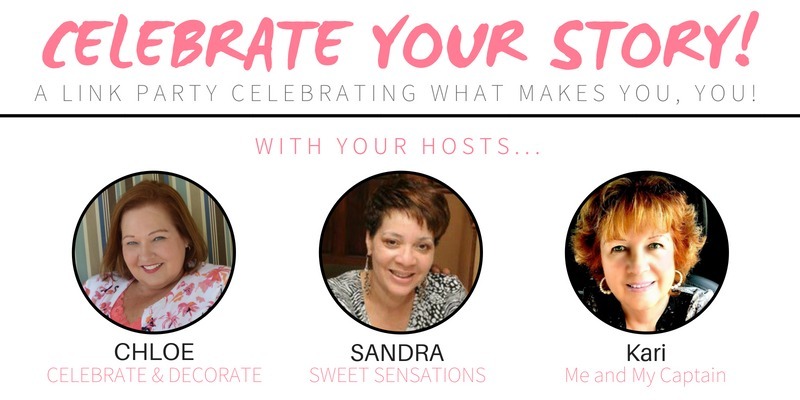 Your candy theme sounds fun! Hope you have a great week. Thank you all for hosting! So appreciate it! Chloe, Thank you so much for the feature and for hosting each week! You’ll have to come up to Michigan sometime in the month of October. Oh, Carol, thank you for coming to link up with me! How I wish I could even get to Ohio! I have my 2 granddaughters living with me full time while my daughter finishes her military training and am stuck down here in the heat! 87 degrees today! In November!! Thank you so much for hosting Chloe!